Farming is one of our civilization’s oldest industries, but it is not immune to the dramatic changes that have taken place in the past 50 years. Trends like precision farming and sensors to monitor crops have changed the landscape radically. Operating a farm services business has encountered an equal shift. 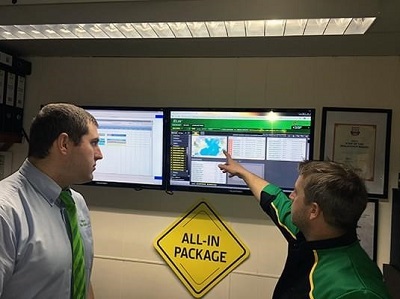 Phil Gregg, the Group Operations Manager at Ripon Farm Services in North Yorkshire has a front-row seat for these changes. With roots that date back to the 1930s, the thriving company has some 182 employees and is one of the biggest employers in the area. It will soon have 12 outlets and a turnover of around £100 million. Some outlets have a diverse offering on top of agriculture, including accident repair, tyres and trailers. As today’s consumer habits evolve, Ripon Farm Services responds by understanding the value that they present to customers and delivering it consistently. For the modern employee, Ripon offers voice-recording tools to replace note-taking and flexible working arrangements. We sat down with Phil to learn more about their successful operation. 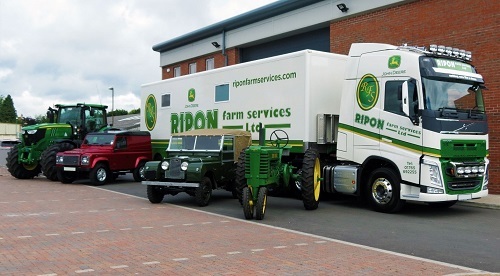 How is Ripon Farm Services keeping up with the digital age? Phil: “We do our utmost best to promote the business through the internet because it gives us a wide audience, but like anything, you can buy so much online. How do you go about hiring people, right now, and attracting talent? Phil: “We need to have a different outlook. The traditional methods of the past will not work in today’s environment. For example, we have already implemented flexible working arrangements such as shift work, and we are looking at adding in home-working as well. When did you implement Ibcos Gold? What are some must-haves in terms of technology like Ibcos? What is the best Ibcos Gold feature for your business? Phil: “For us, the best Ibcos Gold feature is the Service App, which we have been using for a year. We found it very useful to go basically paperless at our one site, and we’re integrating that feature into the rest of our sites over this coming year. “It makes it seamless in the sense that Ibcos prompts you for the information that you require. Once a job is completed, it automatically gets sent to the Service Manager or Finance Team, so that the customer can be invoiced. As a result, cashflow improves. What functionality or module helps you the most? Phil: “The Document Store helps the most in my job. I use this feature on a consistent basis. The collation of documents and pictures is one of its best features. If you want to see an invoice that you paid, it’s right there, attached; there is no need to manually search for it. On a job, we can attach photos, customer comments and delivery notes so that everything is in one place. How has Ibcos helped your business overall?